Manny helps create & enhance experts with unique lead generation & automation marketing strategies. 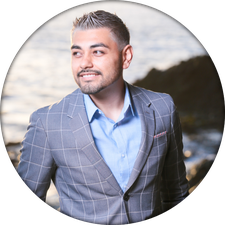 A husband and father of 3, he devotes his time to creating a lifestyle of being #TooBlessedToBeStressed while creating opportunities for his network of over 30,000 business professionals worldwide! Currently, he is a paid consultant on lead generation to over 1000 brands worldwide including: celebrities, entertainers, entrepreneurs, best-selling authors, speakers, coaches, network marketing companies, affiliates, attorneys, doctors, and hundreds of small business professionals from around the world! Recently featured by INC. Magazine, Manny’s work has been showcased on the Trinity Broadcasting Network (TBN), NBC, The Huffington Post, Bloomberg Radio, a CEO Space International graduate, and within just 2 years of starting his business, Manny was named “One of the Best”​ by Facebook when they hit 1 million advertisers!